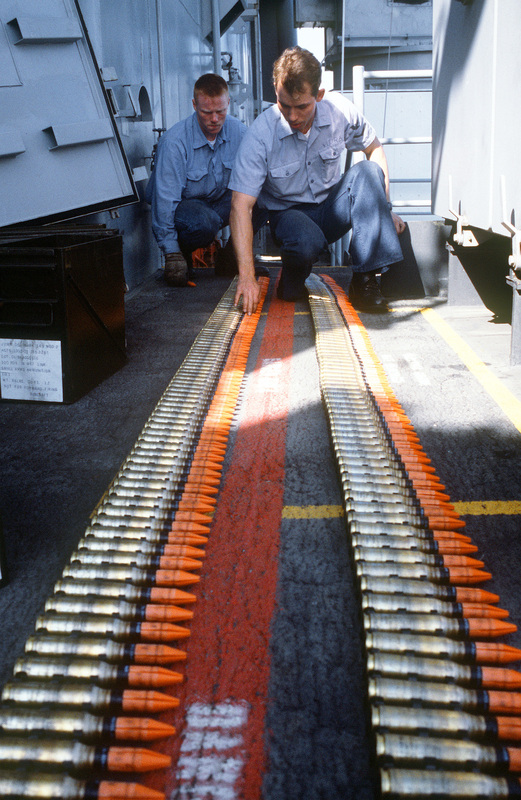 Mark 149 Mod 2 20mm depleted uranium ammunition in 1987. Image from Wikipedia Commons. RCC staff, fellows, and visiting scholars were drawn together last week for a lunchtime discussion with Prof. Dr. Peter Horn—expert in isotope geochemistry at LMU—on the environmental detection of depleted uranium (DU) and other heavy metals. Horn introduced his topic with an overview of the background of DU use and of the scientific techniques applied to identify its presence in animals and plants. In his work, he analyzes the tissues of soldiers exposed to such oxides in recent wars—including the one in Kosovo. DU is highly concentrated on weapon heads and tanks, causing harm to humans and wildlife through its radioactivity, and by the formation of oxides upon its contact with solid materials, such as stone. Ingested by animal and plant cells through air, water, and food, DU-oxides can have serious consequences including major immune system, liver, and reproductive complications. The RCC thanks Dr Peter Horn for his presentation and looks forward to continuing engagement in interdisciplinary discourse on the environment. The discussion was informative, stimulating, and—in the spirit of the RCC—has highlighted the importance of interdisciplinary dialogue between the sciences, humanities and social sciences.